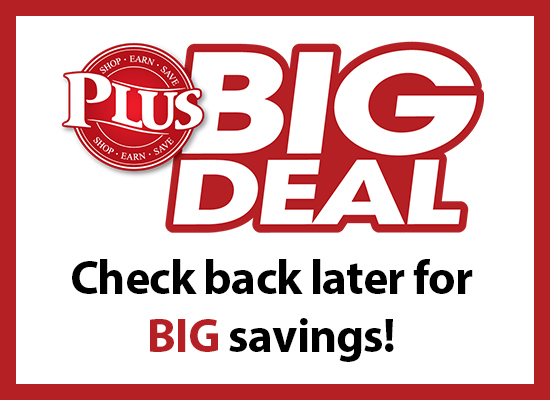 Big Deals are hot deal sales that last a short period of time for Lin's Plus members. Big Deals will occur multiple times throughout the month in our stores. How will I know when a Big Deal is happening? Lin's Plus members will be notified through emails. Big Deal information will also be displayed in sale locations. To receive notifications for Big Deals sign up for Lin's Plus today at the service desk. If you are already a member of Plus do the following to make sure you receive notifications for Big Deals. Sign in to your Plus account at linsgrocery.com/plus. Click "Account" tab in top left corner. Select "Update Profile" under Personal Information. Make sure your email, cell phone number, and mobile carrier information is completed. Select "Manage Notifications" under Account Settings. Make sure Email and SMS box by "Promotions and special offers" is checked.